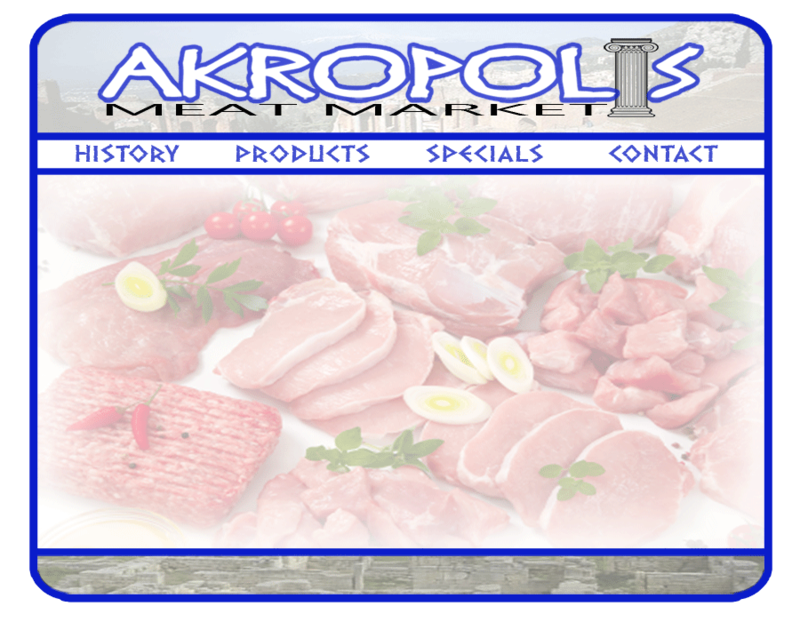 Hello, and welcome to Akropolis Meat Market of Astoria, New York! We bring old world quality to your local neighborhood and table. We are a third generation butcher in Astoria providing quality, delicious meats you and your family will love at reasonable prices. We provide ALL custom meats to your specifications with care and attention to detail you will not find at your local supermarket, wholesale distributor, or food delivery service. All our meats are choice quality. Akropolis Meat Market has been a part of the Astoria community for 40 years. The company began with an immigrants dream far away in Greece, with Gus “Pop” Gatzonis. He was a butcher in Athens, Greece and came to the United States in 1954 with dreams of owning his own business, the American Dream. Naturally, Astoria was his location of choice with its thriving Greek Community. The tradition continued when John, Pop’s son, joined his father’s business and continued the tradition, planting deeper roots in the community and continuing to provide customers with the same delicious products- prime steaks, choice chops, juicy cage-free chickens, and choice free-range lamb and much, much more! John and Pop worked together for twenty years. Today, Akropolis is still run by father and son, John and Pop’s grandson, Gus, with three generations of Gatzonis’ serving you as community butchers. We invite you to experience the highest quality meat products at competitive prices coupled with old world service and flavor that will have you coming back for more!